Can play benefit your dog? Do dogs like playing like people do? The answer is a resounding yes! Play can be beneficial for both your dog’s mind and body. It is a great way for your dog to bond with you and others. Play, or playing, is the act of interacting with another object, dog, person, etc, in a friendly and relaxed manner. 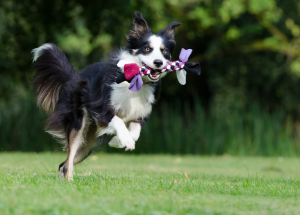 Play is a great way for your dog to get out extra energy, exercise, and work his brain. 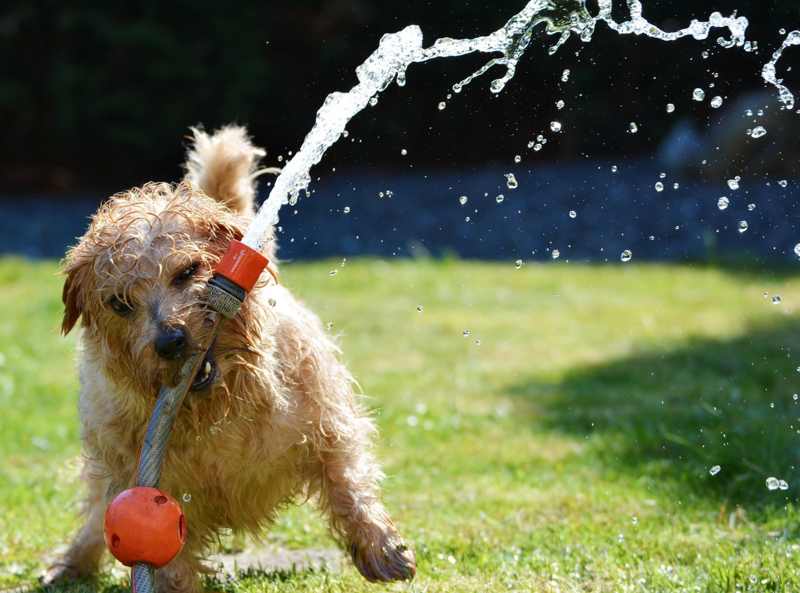 Tiring your dog out through play can help decrease destructive behavior, boredom, and stress. A dog that is happy and relaxed is more likely to be a calmer, better companion! Dogs that are enjoying themselves while playing will often have loose, relaxed bodies, a tongue that hangs out sideways, or a genuinely happy expression. 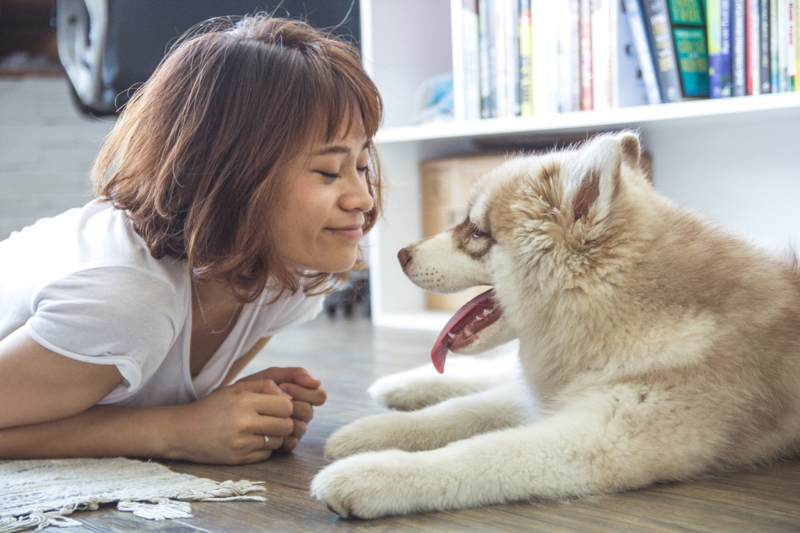 Play can occur in a number of ways including playing with people, playing with other dogs and pets, or playing by themselves. Read on to see some ways you can encourage your dog to play more often. 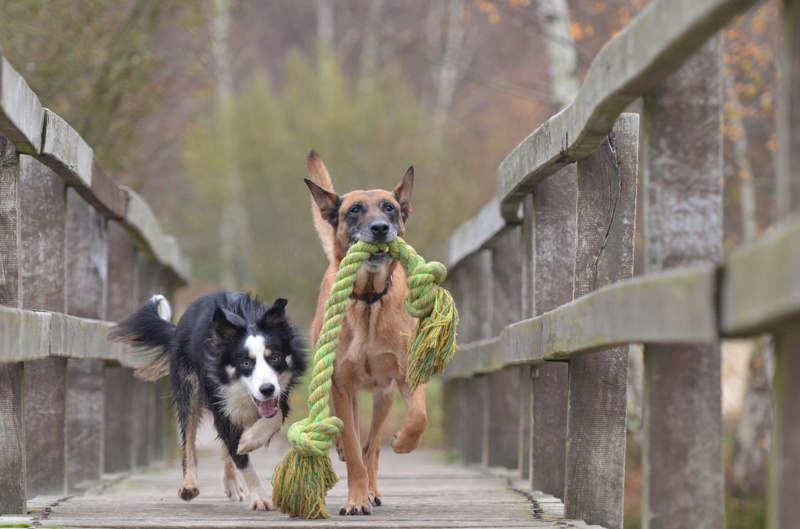 Playing with people can be as basic as a game of fetch, or as involved as agility training. 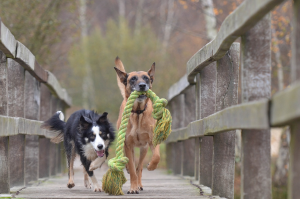 Working on training tricks together is a great way to play with your dog and keep their brain active. 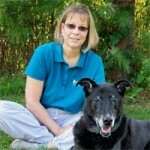 Focus on some activities such as “attention,” “wait,” or “stay,” or other basic obedience. 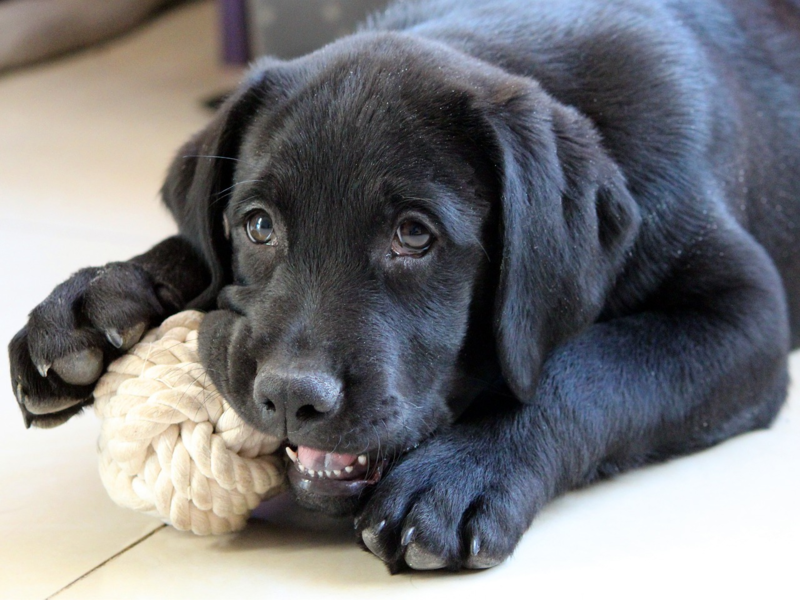 Be sure to take breaks and do some things your dog enjoys, such as tossing a ball or playing with a toy. Sometimes, just cuddling and petting your dog can also be part of play. It is relaxing for both you and your pet, and is a great way to bond and enjoy each other’s company. Some dogs enjoy playing with other dogs, such as at the park or doggy daycare. Many beginner obedience classes and training centers also offer play sessions. This can be during breaks in training lessons, or specific times to visit and let your dog have fun with supervision. If you have a very social dog, regular trips to these places can be beneficial for physical and mental health. Keep an eye on your dog’s body language. If he seems nervous or unsure, stopping the play session and focusing on more solo play may be better. Not every dog enjoys playing with other dogs or pets, so don’t feel bad if your dog isn’t the “social” type. Puzzle toys are a great way for your dog to play and keep active. Puzzle toys are a great way to encourage interest and reward good behavior. See our article here [http://itsyourdog.com/puzzle-toys-can-make-diy-home-fun/] for some fun puzzle toy ideas you can make at home. No matter your dog’s play style, play is sure to be a great experience for your dog. You may need to experiment a bit to find which play style works best. 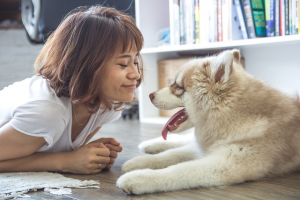 Social dog or not, finding a creative, positive outlet for your dog’s energy can help them stay happy and healthy and prevent problematic behaviors. ← Is a Flirt Pole Right for Your Dog?